Frisco, Texas (November 19, 2018) – FC Dallas announced today that the team and Oscar Pareja have mutually agreed to part ways. The club will immediately begin a search for his replacement. Since joining FC Dallas as its sixth head coach on January 10, 2014, Pareja compiled a 78-49-43 record which included two back-to-back 60-point seasons in 2015 and 2016. He also guided the team to a Lamar Hunt U.S. Open Cup title and the MLS Supporters’ Shield, both in 2016. 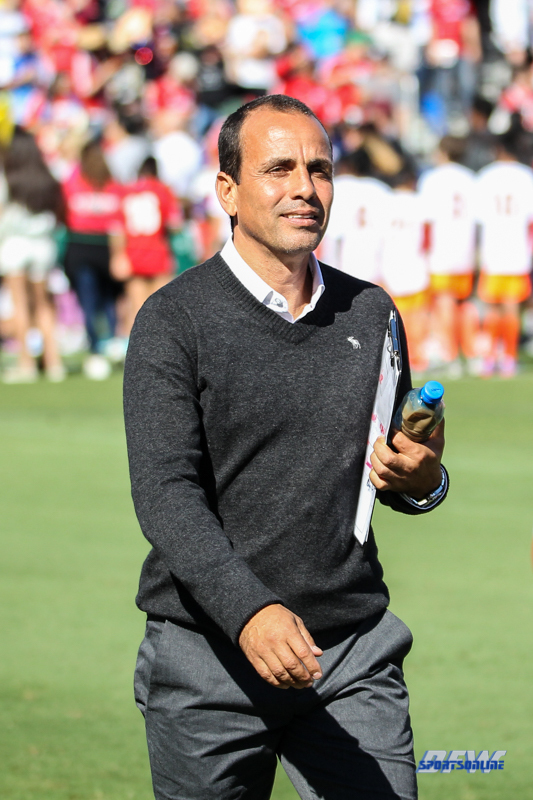 Pareja earned MLS Coach of the Year honors for the 2016 season. He is the winningest head coach in the modern era of FC Dallas and is second on the club’s all-time wins list behind former Dallas Burn head coach Dave Dir (81 victories). Pareja has had multiple stints with the FC Dallas organization, serving as a player for the Dallas Burn from 1998 until his retirement in 2005. He spent the next two seasons as an assistant coach for FC Dallas before serving as an assistant coach on the U.S. U-17 Men’s National Team. In 2008, Pareja rejoined FC Dallas as Director of Player Development for the FC Dallas Youth system, a program he quickly established as one of the nation’s best. In the 2010-11 season, Pareja was named the U-18 Academy Coach of the Year before taking the U-18s to a runner-up finish at the national championship. U.S. Soccer rated the FC Dallas Academy number one in the nation out of more than 70 clubs in 2011. Pareja coached the Colorado Rapids in 2012 and 2013 before returning to serve as Dallas’ head coach in 2014.